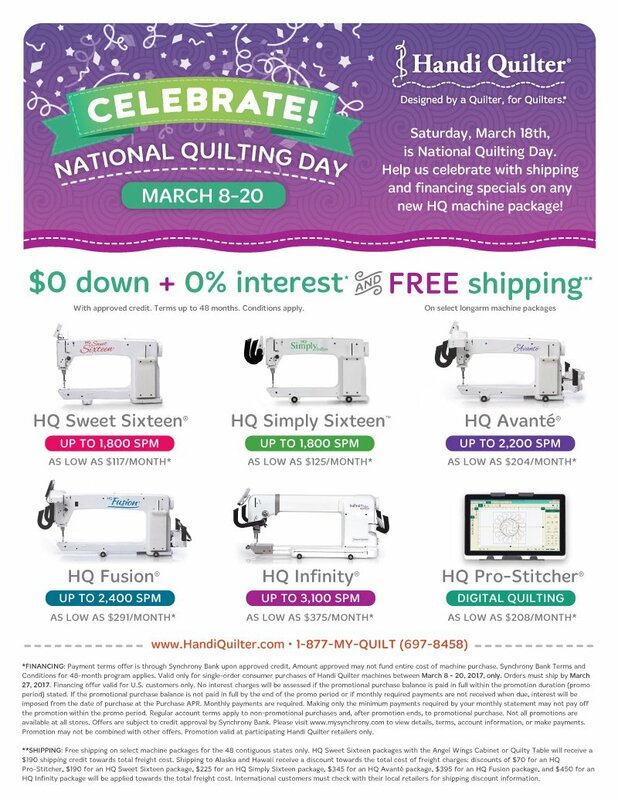 Sweet Pea's is the new Authorized Handi Quilter and HQ Stitch Dealer for Oklahoma! We are trained and authorized to service any Handi Quilter or HQ Stitch machines and are here ready to answer any questions. Call us at (918) 230-4910.